The countdown begins. We’re about 24 hours away from unleashing a new addition to the Defunkd family. Six months ago I hinted about this in our forum and figured it would be ready in a couple of months. Oops! Turns out the gross underestimation of time is actually a positive because we kept adding new features as we built it. Now it’s far superior than what we had originally planned so we’re very proud of the end result. The beta version is complete and currently being configured on a dedicated server. Once unveiled we’re reaching out to Defunkd readers first to help us test it! 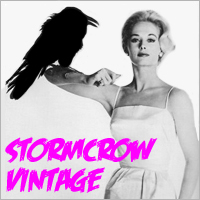 The most advanced vintage clothing search engine in existence. Quickly browse Google, eBay and Etsy results from one module. And because our results are human verified, say bye-bye to “vintage style” and repro results because sellers who leverage keywords or sell fakes won’t appear. A vintage clothing directory. A community-built platform which neatly categorizes the various vintage clothing entities on the web for a new search experience. A comprehensive forum. Think of it as a bulletin board at a vintage clothing laundromat. Make new friends, get advice and stay in the loop without having to put quarters in a washing machine. A photo blog. What would a Defunkd site be without a blog? We’ve kicked things up a notch with different content you’ll crave. Full social integration. With one click you get a snapshot of what vintage clothiers are saying in real-time so you’ll discover the latest goings on. A powerful tool for making new connections and sale hunting. It’s fun for a girl or a boy. Whether you’re into eBay, Etsy, prefer independent websites or even brick & mortar – it will hit the spot. It’s free, it’s fast and it promotes eco-friendly fashion. ‘Nuff said.